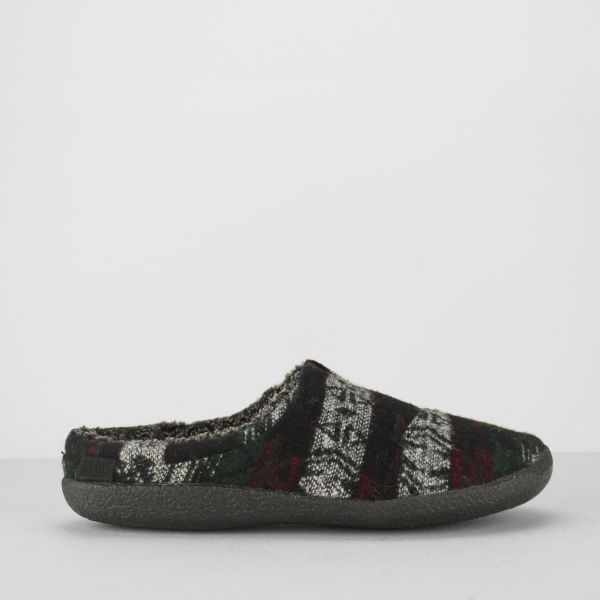 Sophisticated, stylish and very comfortable, the Berkeley mens mule slippers by the incredible TOMS. Wool uppers come in a range of patterns to suit the desired colour, including herringbone. Faux shearling lining softly surrounds your feet, keeping them warm and comfy. Insoles are moulded and removable allowing you to personalise the fit. Rubber outsoles are durable, high grip and textile infused. Working in over 55 countries the TOMS One for One® gives a child in need a pair of shoes for every pair bought.